Read on to find out all the details from our interview with them below. 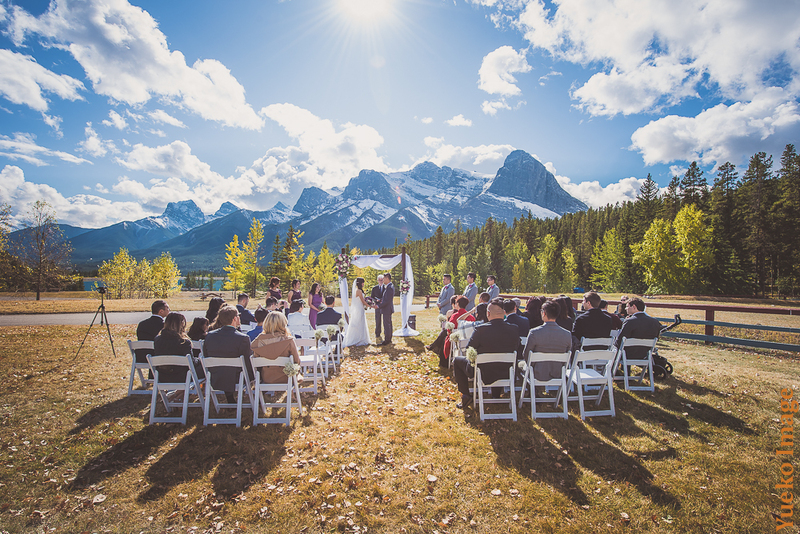 Tell me about weddings at the Canmore Nordic Centre? We (Cornerstone Theatre/Weddings) were awarded the contract as the caterer for the Canmore Nordic Centre (CNC) in April 2017. This also includes the opportunity to host weddings in the banquet room and outdoor ceremonies. We created the brand Cornerstone Weddings and offer the same products and high level of service at CNC as we do at the theatre. What are your outdoor ceremony location options at the Nordic Centre? We are very lucky to have 3 beautiful outdoor ceremony locations all at the CNC. They are all different and offer something unique. This is the most popular location. It has easy access, lots of parking and the area is maintained and the grass is cut. The views are breathtaking looking out at Three Sisters and the reservoir (which is popular spot for photos). It is easy to see why most couples choose this. This is a smaller spot that can host ceremonies up to about 50. There is a small sloped path to access it but it is secluded, so pretty and intimate that couples love it. Parking is close by too. Although this location does mean a little walk for guests, it offers panoramic views of Canmore that are hard to find without hiking a mountain. We offer the same service as guests booking the theatre, with the rental, delivery, set up and tear down of white folding chairs, signing table with linens and a Wedding Coordinator. We also have a battery powered PA system for rent too. How many people does the Banquet room in the Day Lodge seat? The banquet room can comfortably seat up to 80 on round banquet tables. Also included in our package price is another room that has our bar, comfy seating area and generally a quieter area for guests to chat in once the party starts. What type of food options are available at the Nordic Centre? We offer the same menus to our CNC wedding couples as we do at the theatre, along with a complimentary food tasting and planning meeting. Our food is Rocky Mountain inspired and we source as much as we can locally while still offering a competitive price. Our Executive Chef has been working in kitchens since he was 10 years old and is extremely passionate about the food he serves. We offer different price points for our menus so couples can choose something that will fit their budget. All of our buffets have a chef attended carving station that elevates the service aspect and is something the guests enjoy seeing. What type of services do couples receive working with Cornerstone at the Nordic Centre? Almost all of the services that we offer at the theatre are available at the CNC. 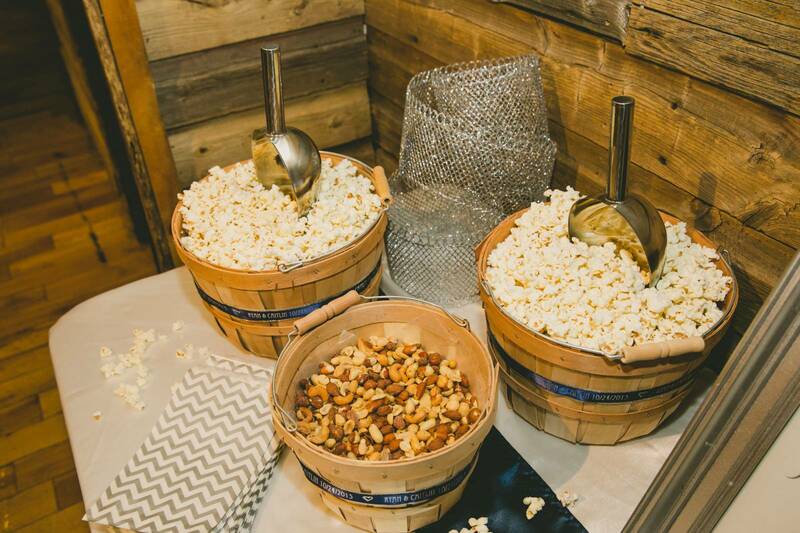 Hot chocolate bar, candy buffet, s'mores station are all fun memorable extras that guests love. We cook onsite which ensures food is prepared fresh and we own the liquor license for the Day Lodge so we take care of the bar service too. We offer a setup and tear down service with many linen options and décor to choose from. We purchased a wooden dance floor so guests can boogie the night away. We are also currently working on an audiovisual package that will include some fairytale lighting, disco lighting and a sparkly backdrop to dress up the room and ensure the party goes off with a bang! Are there any other key features or things to highlight? One of the great things about the CNC is that after 5pm all visitors leave and the venue is exclusive to our wedding couple and their guests. The banquet room offers breathtaking views of Mount Rundle and Ha Ling Peak with floor to ceiling windows. By the end of 2018 Cornerstone Weddings will have hosted close to 500 weddings. We have experience and expertise from the theatre that has naturally extended to the CNC. Our couples and their guests receive the level of service that is expected from a Cornerstone Wedding and we have a new and different location to host weddings in. 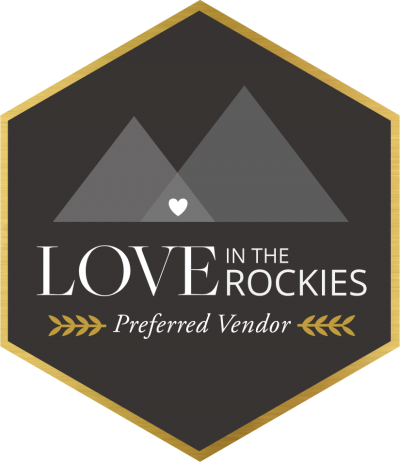 Cornerstone Theatre is a member of our preferred vendors and an incredible venue in Canmore. You canSEE REAL WEDDINGS AT CORNERSTONE THEATRE & FIND OUT MORE HERE. Plus you can head over to their own website for more information - you can download all of their packages and pricing on their site too.